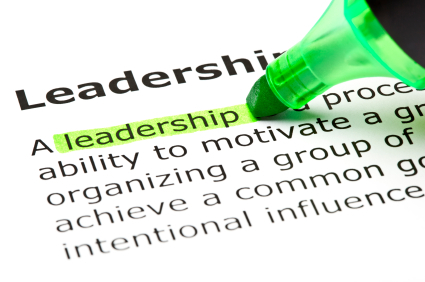 Do you feel like you have what it takes to be a leader? You are trying to build a business and you want to find the best of the best, your elite group that will help you lead a successful business. What are the qualities that are most important to you? Leading isn’t always something you are just born with, it is multiple traits that you can package all in one. You are always learning and always evolving as a leader, pushing yourself to be the best version of you, so you can bring out the best version of others. I want to talk to you about some of the traits you need to be a leader. How important is it to be someone who can motivate yourself? When you’re a leader, you are the one who is delegating tasks. You don’t want someone to tell you what you need to do, so being able to be independent and take initiative with what needs to get done is imperative. You will need to have guts and need to make decisions on your own that are going to benefit your team and sometimes they won’t be popular with everyone. Nobody, I repeat, nobody wants to be around a Debbie Downer. I have never worked with a negative person that I wanted to be around. When you lead, you need to make sure you are bringing your best foot forward and that means being optimistic, always seeing the bright side and helping others to do the same thing. Sometimes you will have to dig deep to portray an optimistic view point on something, but as leaders that is just what we need to do. Even if we aren’t particularly feeling it. As a leader, you know that you need to be a self-starter and that is something you will need to show to others. When you are someone who is in a leadership position, people will look at you and try to mimic you, so showing that you’re a self-starter and someone who takes action is an amazing trait to have. Things come up and that is understandable, but when you are a leader, making sure you are reliable is huge. If you have to do presentations, sign up clients and/or train others, you want to make sure that you are there when you need to be. You just have to make sure you’re going to do what you say to do. Action is more important than words. How can you lead without confidence? When I look for someone who is leading, I look to see how they present themselves. Are you sure of yourself? Do you have confidence in your ability to lead and teach others? Knowing that you’re good at what you do and showing others how to be good at what they do is true leadership. Confidence is infectious. I know that when I interact with happy and confident people, it makes me want to be a better person. When you are first taking steps in to leadership, sometimes you have to “fake it til you make it”. Many leaders go through this and it is totally normal. Showing that you truly care about others and want what is best for them is important in ANY business. Businesses don’t become successful without people. In life and business, people want to know that they are being heard, so really listening and showing that you care will not only reflect good leadership, it will show that you are a compassionate person. When you are communicating with your peers or team, be engaged in the conversation. Don’t allow yourself to be distracted. Okay, we’re not talking about skydiving, unless you really want to! But in order to be successful you need to think outside the box. Sometimes you need to be able to think fast and take risks that you wouldn’t normally take, but that comes with leadership. You win some, you lose some but it’s how you play and lead that will determine your success. These are a few of the most important traits I look for when it comes to leadership. What are the traits that you look for? What traits do you think will help your business grow? As a leader in the direct sales industry I help people improve their lives every day while they improve mine. I launched my business online and want to teach others to build their personal brands on the world wide web.